Everybody here is an outsider, but as my conversation partner in the most popular café tells me, ‘there are still status values: how long have you been living here? How far did you go? Maybe it is also about your polar bear story’. She knows everyone in the café (tourists excluded): ‘the group over there are mining workers, who are shift workers, but do not leave to the mainland when they are off their shift. 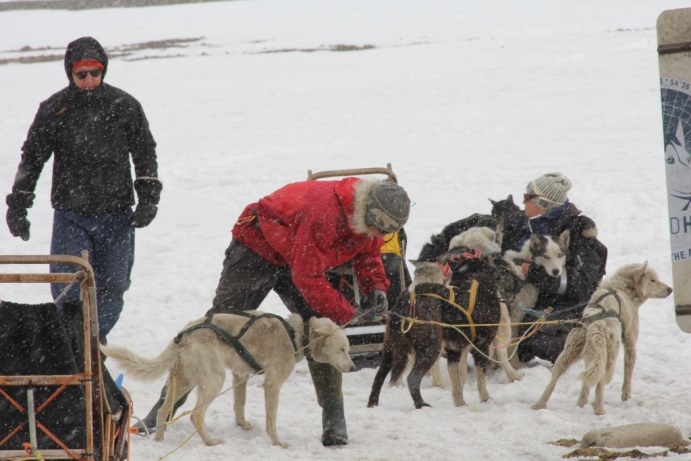 They are commuting every day between Longyearbyen and the coal mine and have the most highly respected status. They are also the financially wealthiest ones here’. From time to time she greets people, who are passing by, mainly women: ‘The community is changing and the gender balance as well. It is not only a male dominated community anymore’. In the statistics I can see that, for example, permanent part-time positions are occupied more by women (This is Svalbard. 2012. What the figures say. Oslo: Statistics Norway, p.12). In the café and on the streets I see many young mothers with kids. There are 3 kindergardens and one school. Still, according to the Svalbard statistics (This is Svalbard 2012: 10) nearly six out of ten residents’ adults are men. In these weeks in Longyearbyen and Barentsburg I talked to Norwegian, Swedish, Finnish, Danish, Icelandic, Russian, Thai, Philippines, Argentinian, Azerbaidzhan, Armenian, Tadzhik, Italian, Swiss, Portuguese, Japanese people. This is the most international community that I have experienced until now, although the Norwegian residents are the biggest group. Some of them have been living here for 7-10 years, some for a few months. This year 2 kids from Malaysia arrived at the local school (personal conversation). There is a bigger Thai community, triggered by one Thai lady who married a Norwegian man (personal conversation). There is even a Thai language version of the ‘Regulation concerning entry to and residence in Svalbard’ document. http://oldweb.sysselmannen.no/hovedEnkel.aspx?m=45270 (also in English and Russian). Some people come only for seasonal work, for the Arctic experience and to earn money, for example young people from Sweden work in the restaurants during the summer season (personal conversation). Most of the people to whom I talked and who are not seasonal workers or on time limited contracts, could not say how long they will stay here. 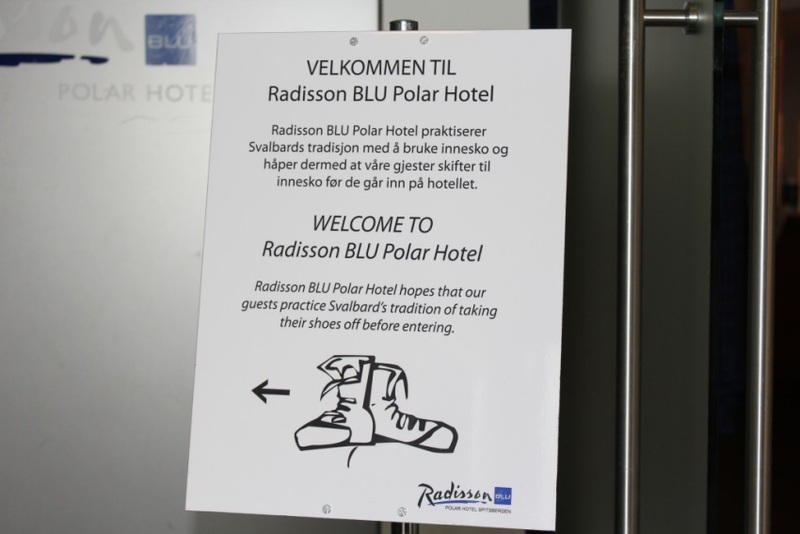 The residents’ fluctuation is enormous – including the administrative staff, journalists from the local ‘Svalbardposten’, school children, customers in the restaurant as well as the service people, church community, hair dressers, doctors, nurses and sellers in the shop etc. That’s why it is not so easy for the statistics to estimate the figures about how many people are settled on Svalbard. New actors in in the governor’s office, research and tourism are constantly becoming involved, often without backgrounds in the local specifics (Viken, A. 2011. 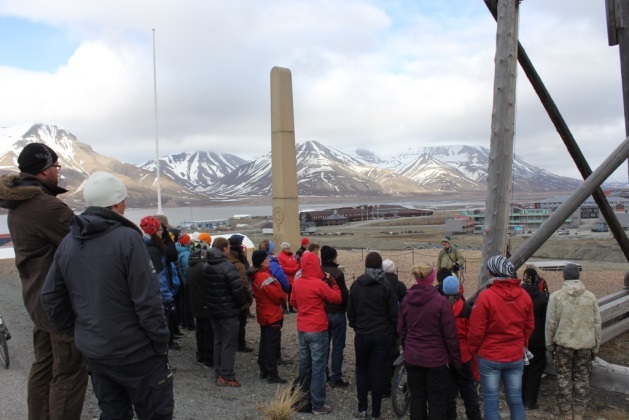 Tourism, research, and governance on Svalbard: a symbiotic relationship. Polar Record 47: 335-347). This may influence the relations between the three sectors, tourism, research and government, – the so-called triangle (Viken, A. 2011:345) – and challenge decisions and policies. ‘This is a ‘restless’ community’, says my conversation partner in the café. A community that experiences such a fluctuation of people has to have something where it can hold on to. Maybe that’s why ‘new ideas are not so welcome here’, as one may say to you (personal conversation). It may be also hard to be accepted by the ‘core’ community (personal conversation). There is a Svalbard hymn and a Svalbard national anthem that I tried to sing along in the local church. And the history of the place is kept alive even though community is changing. Examples of this could be seen in the 107th Longyearbyen birthday activities (June 2013), the celebration of the 10th anniversary of the Fagforbundet (Norwegian Union of Municipal and General Employees) downtown, the church choir and the magnificent nature around you that should be still ‘the same like during the Ice Age’ (museum of Longyearbyen), in spite of so much talk about climate change. 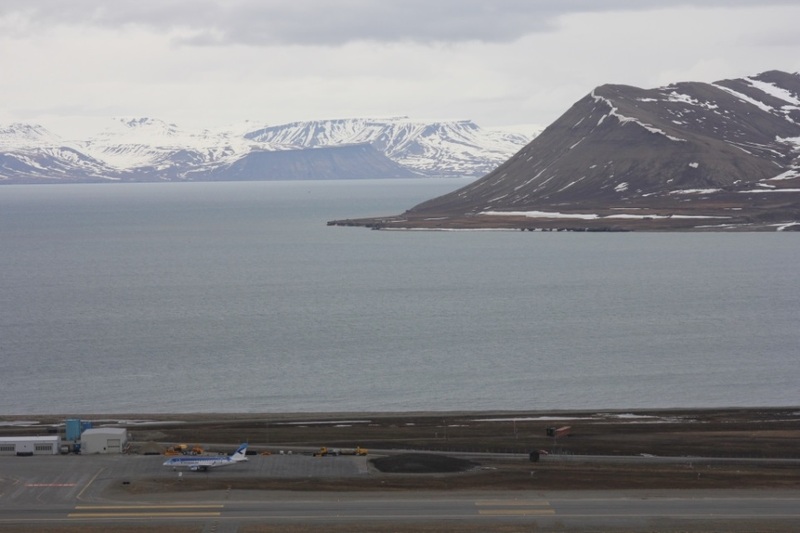 ‘Resident’ here means all those living in the archipelago and who intend to stay longer than 6 months (This is Svalbard 2012: 10; see also Norwegian Directorate for Immigration. 2010 http://www.udi.no/Norwegian-Directorate-of-Immigration/Central-topics/Citizenship-/Citizenship-by-application-and-residence-on-Svalbard-/). Unofficially you have to at least experience all the seasons in Svalbard (personal conversation). The ‘core’ community includes people who definitely have been living in the archipelago longer and are active in the community’s social life (personal conversation). Somehow it is sad to reply to the question ‘how long will you stay here?’ that ‘my fieldwork is finished and I am leaving soon’. It feels as if I am a part of the tourist crowd in downtown, making the place feel impersonal. To my question ’are you sad to leave the place after so many years?’ my conversation partner, who moves soon to Oslo, replies ‘I will come anyway to Svalbard from time to time and meet ‘Svalbardianers’ on the main land’. 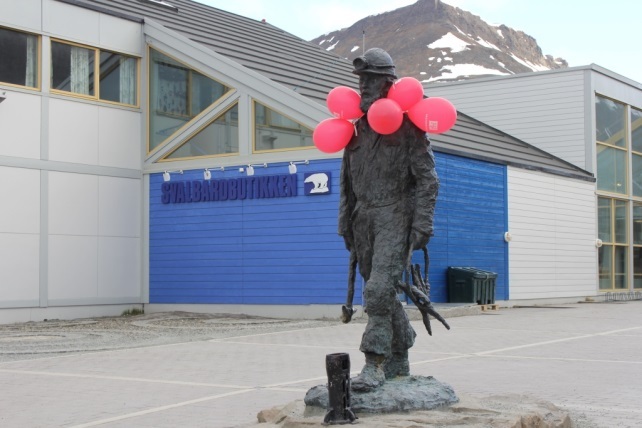 This entry was posted in All, Fieldwork and tagged Svalbard. Bookmark the permalink.